As in acupuncture, practitioners consider an unrestricted flow of vital life energy to be an essential, and that stress within the body caused by illness or injury results in muscular tension. They believe that when the flow of vital energy is interrupted or blocked, tension around acupressure points causes the large muscle groups to contract causing the body to be out of balance. This inhibits its ability to deal with the condition. It is also claimed that conditions such as chronic back pain, headaches, injury-related pain, gastro-intestinal problems and a whole host of other problems will respond to acupressure treatment. Whether or not acupressure relieves pain is a moot point. According to Mark Kastner, an acupuncturist and principal of the Park Boulevard Health Center in California, acupressure is used to treat a wide variety of pain. 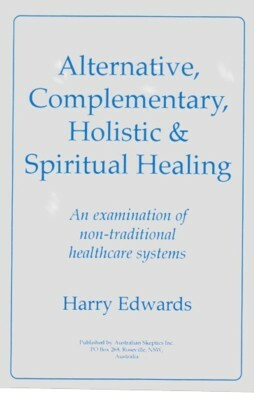 In his book, Alternative Healing, he cites three conjectures. One is that massage increases blood circulation thus removing toxins such as carbon dioxide, lactic acid and histamines. At the same time oxygen and nutrients are brought to the muscle, relieving tension. Another conjecture is that prolonged pressure on acupressure points stimulates the pituitary gland and may release endorphins, a natural opiate-like substance, one function of which is to relieve pain. A third conjecture is that a cortisol molecule, the body's own natural chemical that relieves inflammation, is also released during acupressure treatment to promote healing. Unfortunately, there are no references given to which one can refer to substantiate these claims. Professor J. R. Worsely, founder of the College of Traditional Chinese Acupuncture, (U .K.) and the Traditional Acupuncture Institute (U.S.A.) also devotes a chapter to acupuncture analgesia in his book, Acupuncture: Is it for You? Again, there are no references to clinical trials or double-blind tests to support his claims. Acupressure is a manual variant of acupuncture used to treat a wide range of complaints. A combination of massage and pressure on acupoints using the thumb, fingers, palm or heel of the hand or even a blunt instrument to relieve muscular tension. Acupressure also has the advantage of being suitable for self-treatment, at least for those areas one can reach. Most forms of massage which effects relaxation is to be recommended, provided that it is used primarily for that purpose and not to treat the cause of an illness or a disease. Many other types of effective massage are available without the accompanying unnecessary "magic" and at a cheaper price. Although acupressure practitioners report much success using the technique in the treatment of headaches, migraine and related disorders brought on by "stress", these reports are principally confined to popular New Age "alternative" health publications. They are unreliable, and have no basis in science. One thing strikes me as odd however. In acupuncture, there are some 2000 acupoints, each of which allegedly correlates via meridians with an organ or other bodily part. The positions of the acupoints are specified on charts, and fine stainless steel needles are used to stimulate them. In acupressure, the pressure exerted by a thumb, or in particular, the heel of a palm, would cover an area many hundreds, if not thousands of times larger than a needle point, thus encroaching on other acupoints in close proximity and unrelated to the problem being treated. On the small area of the ear alone for example, there are approximately 100 acupoints. Although this fact alone should negate any claim that acupoints have anything to do with the treatment, it is further compounded by the fact that the locations of specific acupoints vary from chart to chart.